Sharing a name with someone can lead to mistaken identities, confusion, and all sorts of mayhem. 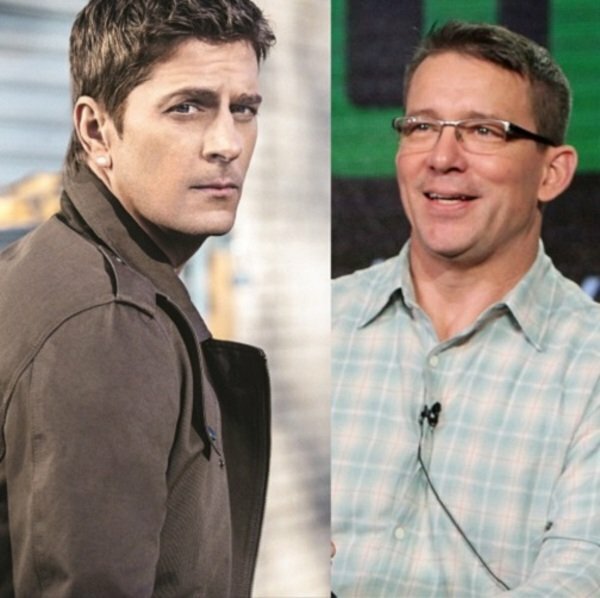 But for the two (famous) Rob Thomases, it can also lead to one delightful collaboration: Matchbox 20’s Rob Thomas will guest star on tv creator Rob Thomas’s iZombie, TV Insider has learned exclusively. When Super Max needs a jingle, Max Rager chairman Vaughn Du Clark (Steven Weber) hires Thomas (playing himself) to perform the song. Viewers will first hear the ditty in episode 17 (Tuesday, April 5)—though Thomas won’t appear in the flesh until the season finale on April 12, when he performs a song from his solo career at the Super Max launch party. The team-up between the two Rob Thomases has been a long time coming: Thomas (the writer) notes in his twitter bio he’s “not the singer. The Veronica Mars, party down, iZombie guy.” and in addition to getting tweets meant for the other Rob, the duo might be getting each other’s fan treats.